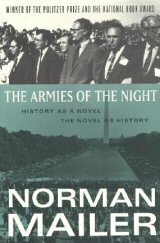 Opposed to the War in Vietnam, I demonstrated against U.S. involvement at various opportunities, notably at the massive 1967 march on the Pentagon (the subject of Norman Mailer's Armies of the Night) where I was teargassed. I went into exile in Canade in late 1968, and I continued with my anti-war activities there (see Anti-War Activist). I was pardoned by President Jimmy Carter in January 1977. 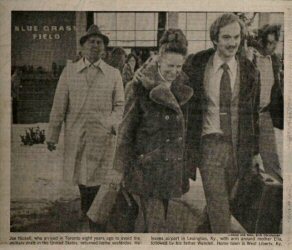 The newsclipping photo shows my parents meeting me at the Lexington airport (Blue Grass Field) on my return.